For the beginning it is necessary to make tea. Take a mug or a brewing teapot, put tea into it, pour it with boiled water and leave for brewing. While tea is brewing, it is necessary to solve sugar in water. 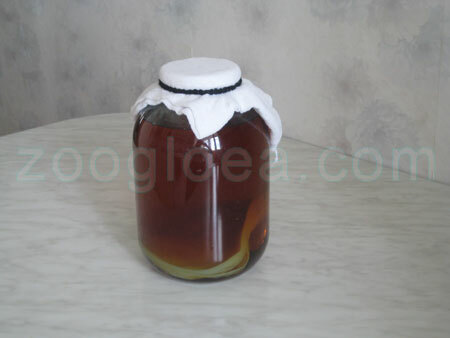 Be attentive and do not put sugar into the infusion with Kombucha – it may be burned and fall ill. It is more convenient to take a small pan, to put sugar into it and solve it in a small amount of hot water (on a cooker is possible). 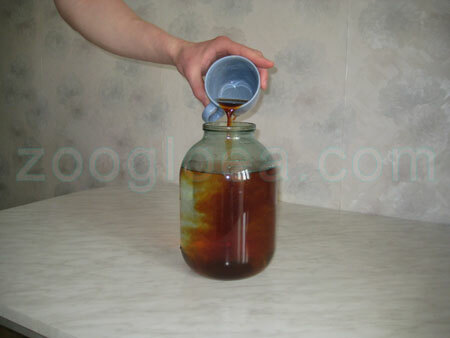 As a result we have sugar syrup of a very high density. 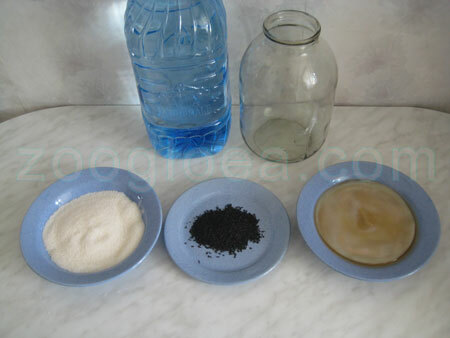 Pour the remained plain water into the jar and start to put there all received components, the sugar syrup (Picture 2) and the brew. Stir it carefully. 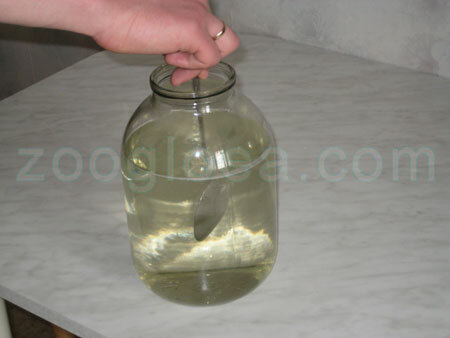 Be accurate with a jar - if a spoon is metal the jar can crack when the spoon hits the glass. 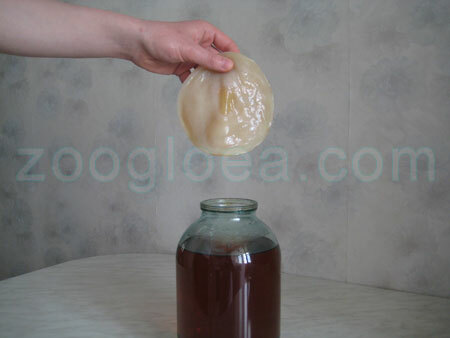 After the infusion is ready, you should taste it and having convinced that it is sweet and warm (but not hot) wash the Kombucha with cold water (Picture 4). Make sure that the jar is not full and it still has some space for Kombucha and air. Accurately immerse the Kombucha into the infusion obtained (Picture 5, Picture 6). Cover the jar with pure gauze in order that dust may not get on it and at the same time it can breathe (Picture 7). 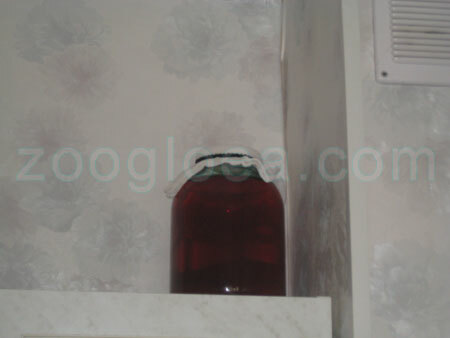 Put the jar with the Kombucha in a silent place out of direct sun, for example on a kitchen cupboard or a shelf (Picture 8). Leave it for a minimum of 1 week.